Every year for the holidays I give away holiday candy. I am not big on presents (sorry but it is true) I just don't get the whole giving someone something because you feel like you have to. Yes, Bah Humbug. But I do enjoy cooking for friends and family and then giving those away as presents. So over the next couple of weeks leading up to the holidays, I am going to share my go-to candy recipes so you all can try your hand at making them for your loved ones. 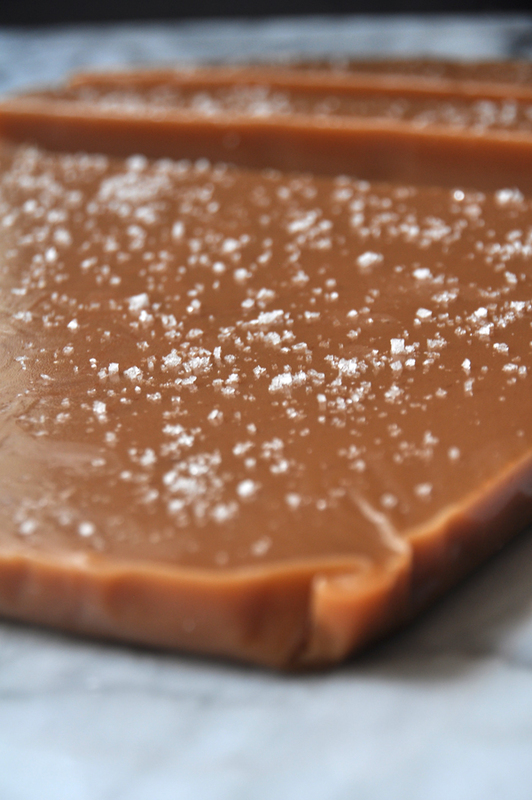 This is the perfect recipe to start with, salted caramel candies. Ooey gooey caramels, topped with a little sea salt, it s the perfect treat for the holidays. Also, who doesn't love salted caramel? This recipe makes about 70 candies, which is the perfect amount to divide, wrap up with parchment paper and give to friends and family. What about you - what is your go to gift for the holidays?